This occasional blog was started in July 2014 when we got planning permission. See drop down menu for posts from previous years. All entries by Kathy Smyth (one of the Co-op Directors) unless otherwise stated. Most recent entry at the top. For those of you at the AGM earlier in the summer, you may remember that one of the Directors, Martin Crane, produced some rather stark figures for the heat losses running into thousands of pounds per annum particularly from Estate North – the system supplying the bungalows and maisonettes down the longer heat main. This is a cost the co-op has to bear as we don’t get paid for losses between the boiler house and the RHI meters which is fair enough as far as the RHI is concerned (for anybody reading this blog for the first time, this isn’t about a failure to insulate the heat main, it was a very high spec pipe). Martin and his assistant had a meeting with Nick Douch recently to look at ways to reduce the losses. Two actions in particular are being followed up. One it to install a weather compensating controller to lower the district heating flow temperature when the weather is warm, and increase the temperature when it’s cold. The other is installation of a time clock to allow the DH to the Estate North system to operate a limited number of hours per day in the summer outside of the heating season so that the hot water cylinders are heated up twice a day. Both these proposals are now being costed and will then be considered further by the Springbok directors in conjunction with Care Ashore and the residents. 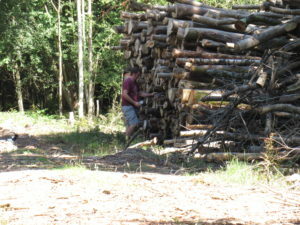 Springbok Director Tom Parker has written up a visit he made to my wood on Rosemary Lane. I visited the woods around in mid-July with a friend from my days at Kew Gardens, Carolin and she then took the pictures below. 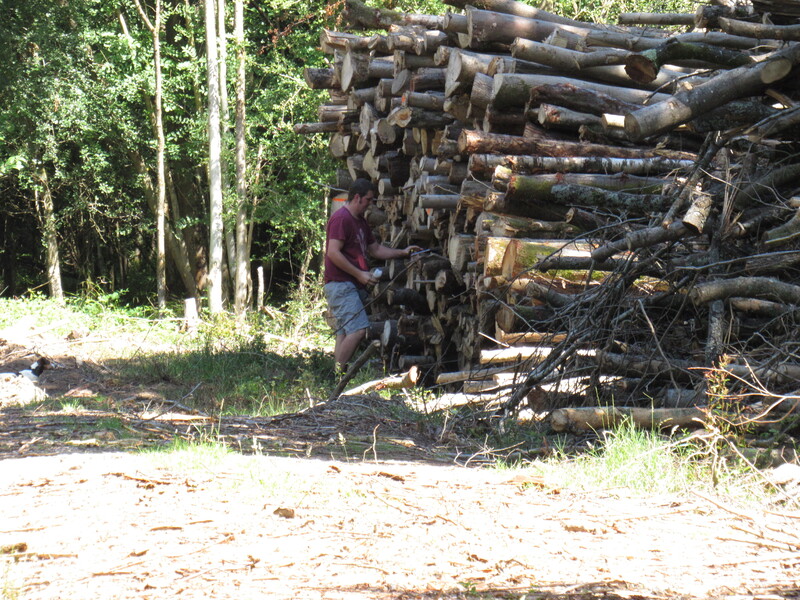 It was my first chance to see the newly opened up rides following the felling and clearing. 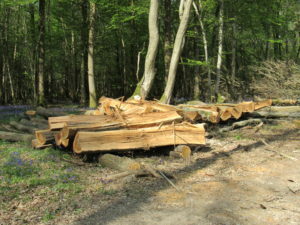 The work had been done sensitively and in reasonably dry conditions so we now have the maximum amount of good habitat for woodland wildflowers and butterflies. 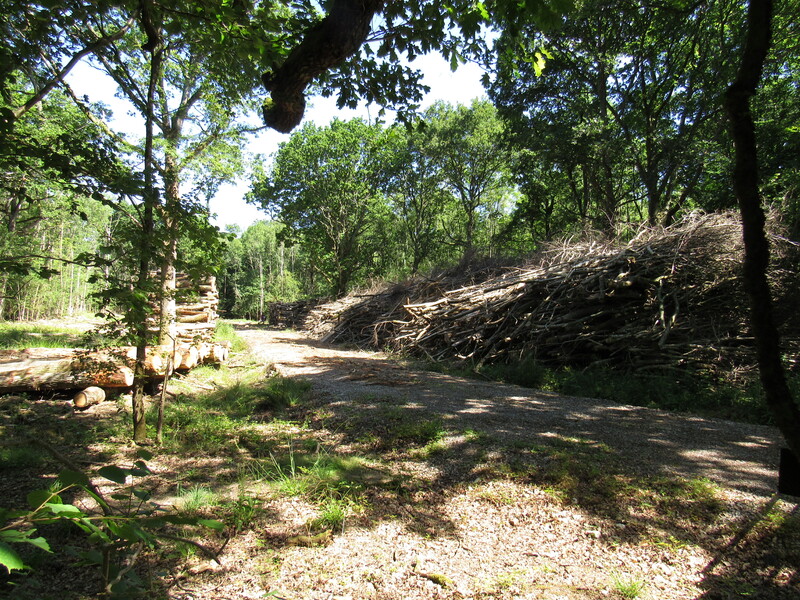 The clearing of the brash in particular creates much more space for wildlife than in many commercial woodlands. With the light flooding in again to the woodland floor, it was immediately noticeable the amount of violets present. It wasn’t long before we spotted a female Silver-washed Fritillary nectaring on thistles and other flowers. We saw it searching low down for suitable egg laying sites on tree trunks. The numbers of butterflies were quite low in the new rides but this is a reflection on the very advanced season causing many butterflies to emerge earlier than ever before. The Purple Emperor season was almost over when we visited, in most years it would have been at its height in mid-July . I am confident that next year these rides should be full of Silver-washed Fritillaries that spend the late summer and spring as caterpillars, feeding on the violets. Just inside Sidney wood we found a single White Admiral warming it’s self on the path. Unfortunately I found no Wood Whites in Sidney wood earlier in the year, partly due to the extensive forestry operations temporarily damaging the habitat and also due my limited visits to search for this species. The second brood are now worth looking for in Sidney Wood. 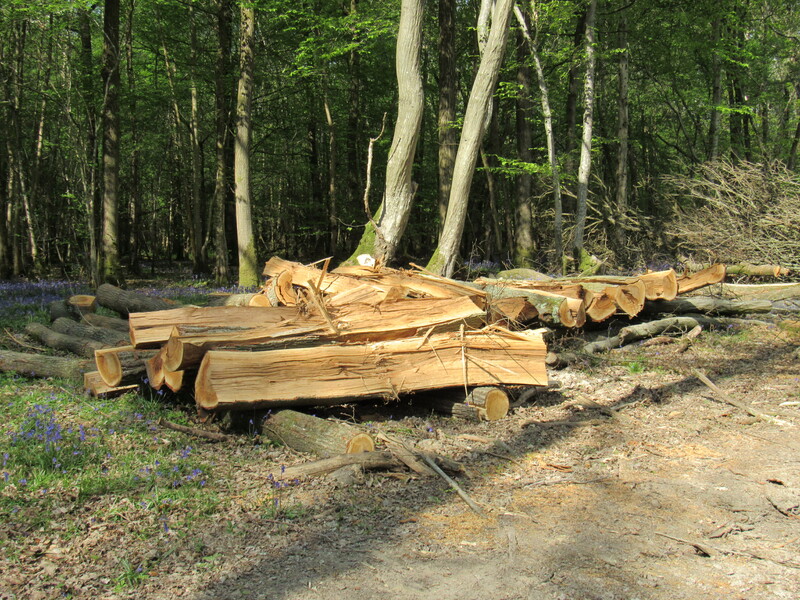 Opening up the rides in our wood next to Springbok in February this year and removing the felled wood (see below) has already made a big difference to the woodland biodiversity. 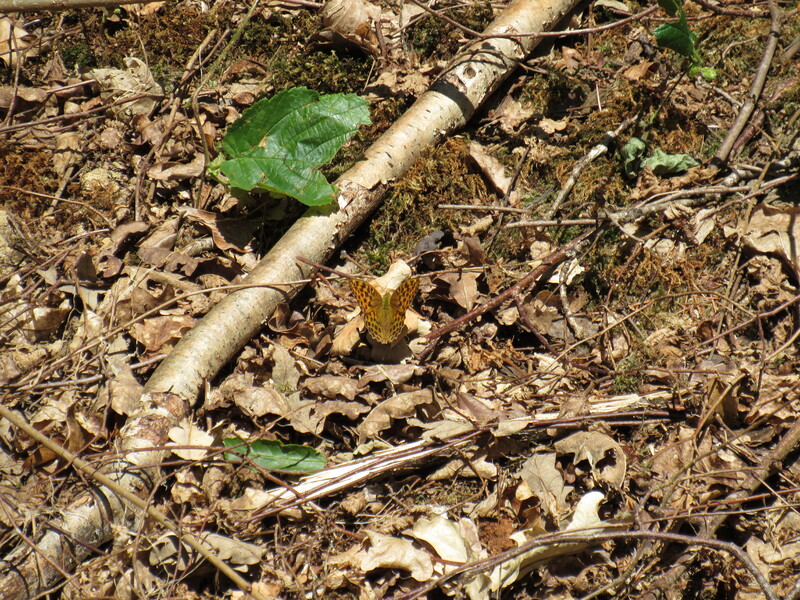 On a visit on 2 July which was a nice, sunny day I was elated by the number of large orange butterflies which were subsequently identified for me by Tom Parker as Silver Washed Fritillaries. There were also Meadow Brown and Large White. That may not sound that exciting but bear in mind that for the last 6 years the only butterfly to be spotted in these woods had been the Speckled Wood. Here is the photographic evidence. I think this is a female Silver Washed Fritillary as it is rather more drab than the male. I’m relying on somebody to tell me if I’ve got this wrong. 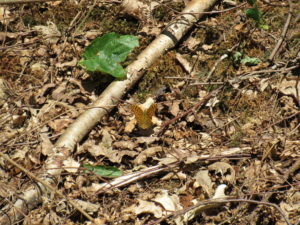 I’ve also seen grey wagtail and wren in the wood for the first time and dragonflies (Southern Hawker). We also have at least one buzzard which appears to regard the wood as “home” as I see it virtually every time I visit. Mind you, the other thing which has increased in number are the deer – which aren’t welcome because they are so destructive. Not only do they eat the tops of the regenerating hazel coppice but also the flowers of a lot of the plants which provide food for other creatures. Grrr. 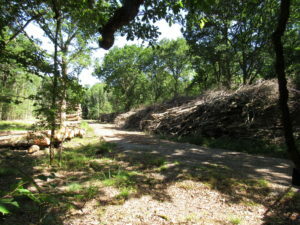 I also had a hot tip on how to identify Turkey Oak (see July entry below). I do know that the leaves are very different from the native oak but that can be hard to work out when you are looking at the leaves through a canopy of hazel. Apparently I need to look out for ‘hairy’ acorn cases which are unmistakable.